Hurricane Michael is not quickly forgotten by those who through it. Coca-Cola UNITED had some 3,000 associates along Hurricane Michael’s path, where they live, work and serve their communities each day. The devastation along the coast, especially in the greater Panama City area, was heartbreaking and continues today. 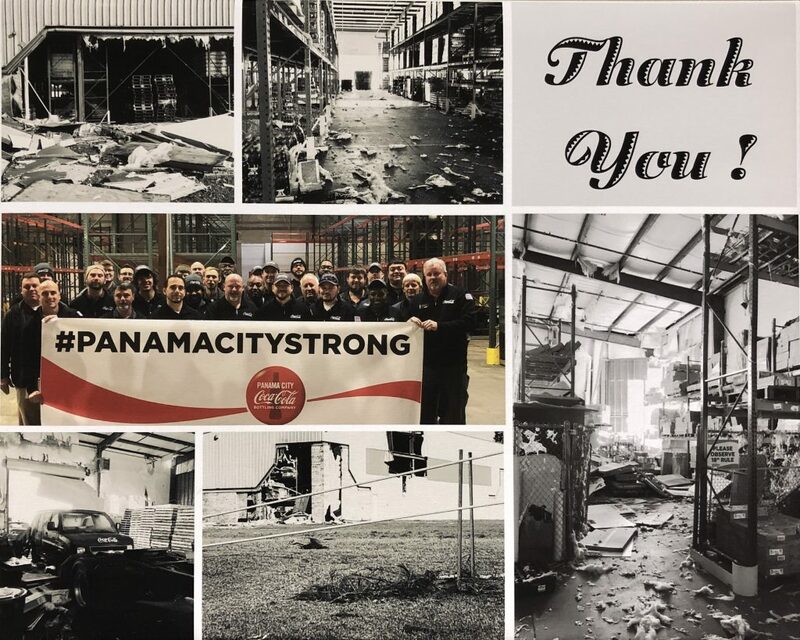 Many of our Panama Coca-Cola associates and their families suffered significant losses. However, we are immensely grateful everyone was safe. Since that time, the resiliency of the human spirit has been inspiring, and the rebuilding of the community is underway. We have been overwhelmed by the extraordinary generosity of our associates, business partners, colleagues from throughout the Coca-Cola System, and friends of Coca-Cola UNITED. Your generosity, concern and prayers for our associates helped to make each day a little easier. In December, we held a holiday celebration for our associates in Panama City, where we were able to provide gifts for the families, share fellowship, laughter and tears, and even give back to a local nonprofit through toys provided by The Coca-Cola Company. Read the heartfelt sentiments from our president and CEO, John Sherman, and see moments captured on that day Watch the video to see the impact of your help and our Coca-Cola family sharing the love.